When Berayah first began, we didn't set out to make wedding dresses. 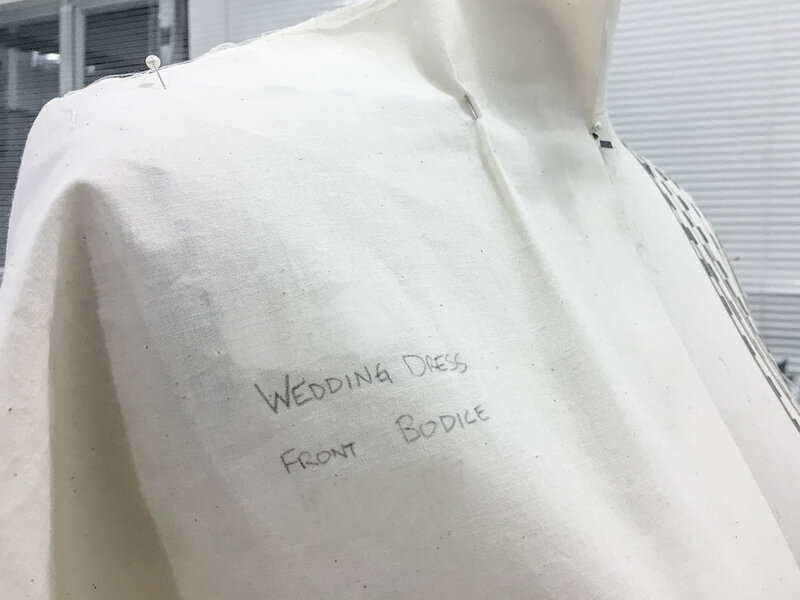 but slowly we have seen an increase in requests, and often times people want to know the process so we thought we'd share a bit about the process of creating a custom wedding dress. It is important to get to know the person wearing the dress, after all it is their big day. A wedding is a big deal, it's a celebration of the couple's individuality and their unity, so often times when brides-to-be want a custom dress, it's because they want something that not only fits their BODY uniquely, but moreover something that fits their PERSON uniquely. So during the consultation meeting, we try to get to know the bride-to-be. 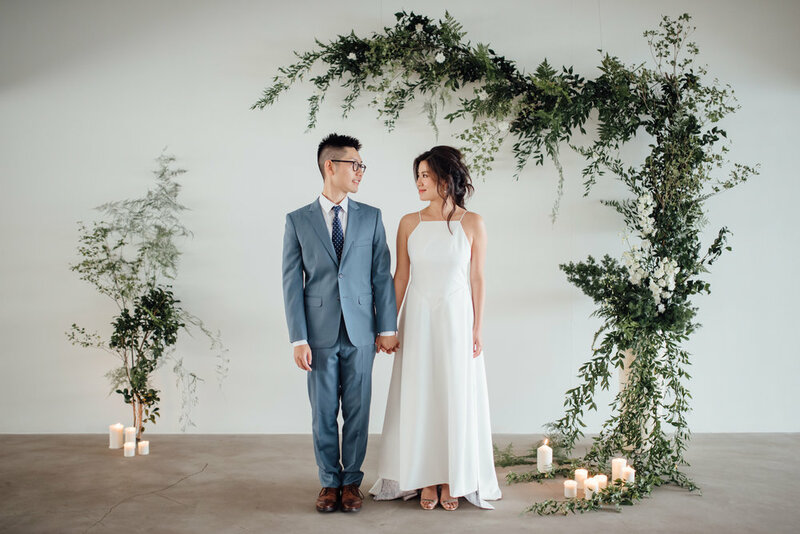 From aesthetics they identify with, things that have special meaning to their relationship, to lifestyle choices and hobbies, every piece of information help us understand who the bride is, what they're about and how to best represent them on their big day. 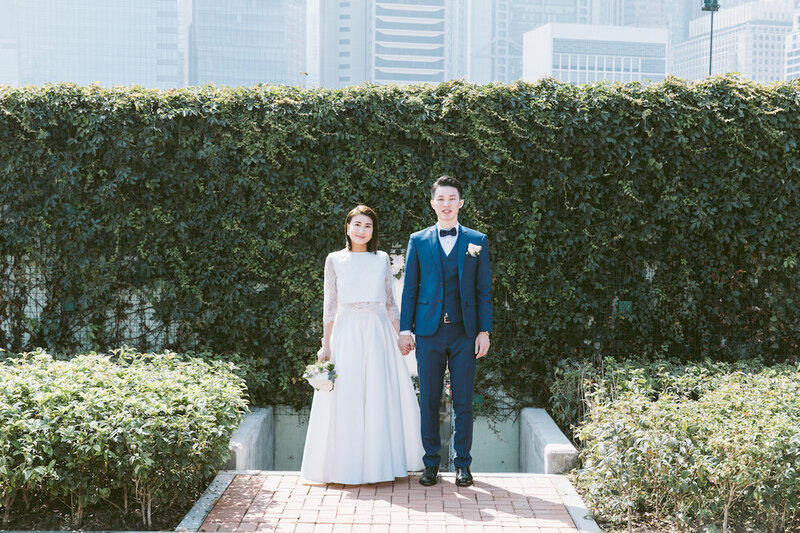 Practically, we will try to get a good understanding of what the bride's body type is, what type of clothes most flatters her, what features she wants to accentuate and what she wants to discreetly draw attention away from. After the initial consultation meeting, we go into the design stage. We generally try to come up with a variety of designs that include different silhouettes, details and style concepts. We research and develop ideas based on the bride's preferences, and if possible come up with ideas that have symbolic meaning to the couple. When we have an initial set of designs (usually between 10-15 ideas), we present them to the bride in our first review meeting. At this point, the main goal is to work with the bride and narrow down to 2-3 workable designs, seeing which silhouettes and details the bride favours. We highlight elements that the bride likes from different designs, so we can proceed to the 2nd stage of design with a bit more focus, and can build on existing ideas that the bride identifies with. A 2nd review meeting then takes place, this time with fewer but more focused designs. The bride will be able to see more developed ideas, and can visualise how different elements previously selected come together into a full look. The goal of this meeting is to further narrow down the designs into 1-2 looks according to the bride's liking, so that we can develop the final design. This is also the stage where we will discuss fabric options, as we now will have a better idea on what the final dress will look like, and what materials will work best to achieve the look. The final design stage involves fine-tuning the design and provide minor variances. It is normal that the bride will have trouble deciding between final options, so we try to be as flexible as possible and this stage is to offer a visualisation of these variances. Toiling is the process of creating a mock-up garment for the purpose of fitting. 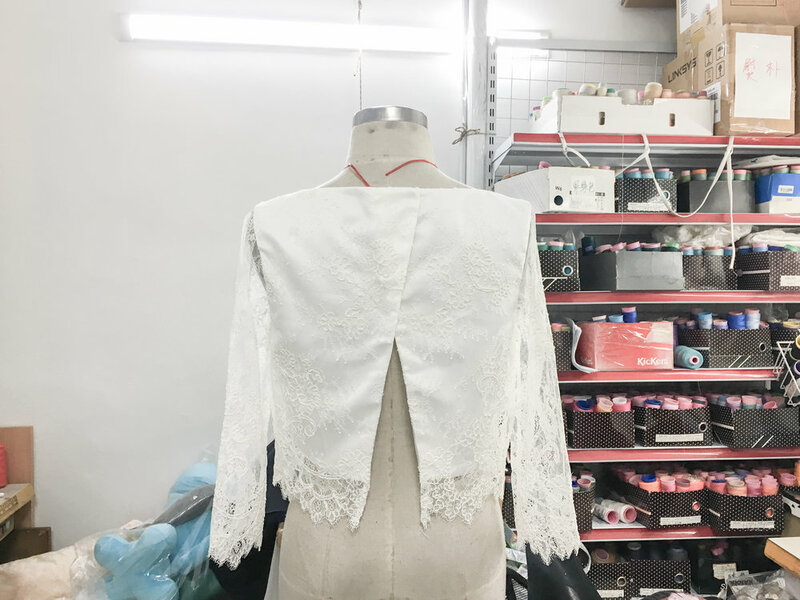 It is generally created in a cheaper fabric with less finished construction, but will give important indication on how the final garment will sit on the bride. We will have a fitting session with the bride, and at this stage the shape and feel of the final dress should be more apparent. We will make necessary fit adjustments to the pattern, but also check with the bride about things such as length of dress, sleeves, width of openings and such. This stage usually takes place around 2-3 months prior to the wedding date. After fitting the toile and making pattern adjustments, we proceed into making the final garment. This process generally takes several weeks, and after we complete the majority of the dress, we meet the bride for a final fitting, usually about 3 weeks prior to the wedding day. Here we make sure the dress fits the bride perfectly, and make any final alterations necessary before the final delivery. 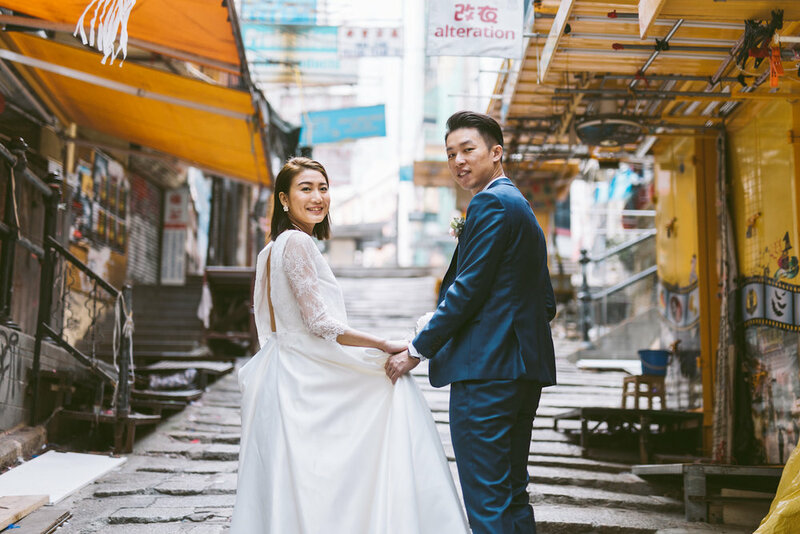 To our experience, almost all brides lose weight as their big day approaches, so it is not uncommon for the toile and the final dress to fit differently, and we factor in this fitting/alteration specifically for this reason. The entire process can take up to 6 months, and every step along the way we make sure the bride is well-involved, ensuring that their wedding dress is not a designer's isolated creation, but that they are every-bit part of the design and creation, making it something that is uniquely theirs. As a brand, our aesthetics are minimal, so in creating wedding dresses we try to adhere to our principals, whilst respecting the input from our brides. That generally means geometric and elongating seam lines, relatively simple elegant silhouettes and clean finishings. We employ different techniques, such as creating angled back openings and pointed armholes in order to create subtle but visually slimming lines. When possible, we also try to use various details to embed symbolic meanings into our designs, such as a marble lining signifying an inner strength, overlapping panels signifying the coming together of two people, or a waist knot that signifies the unifying marriage. And that's it! As previously mentioned, we never set out to make wedding dresses, so this has been a learning process and an interesting journey for us too. We want to sincerely thank the brides that have decided to put their trust in us, giving us the privilege of taking part in their memorable day. For any custom inquiries, feel free to contact us at sales@berayah.com.